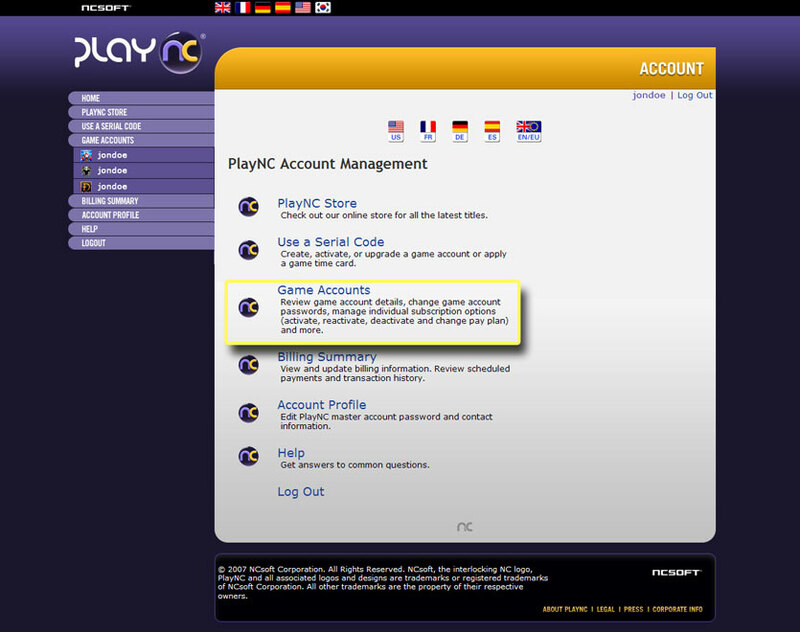 Here’s another great reason to get your old friends back into the game! 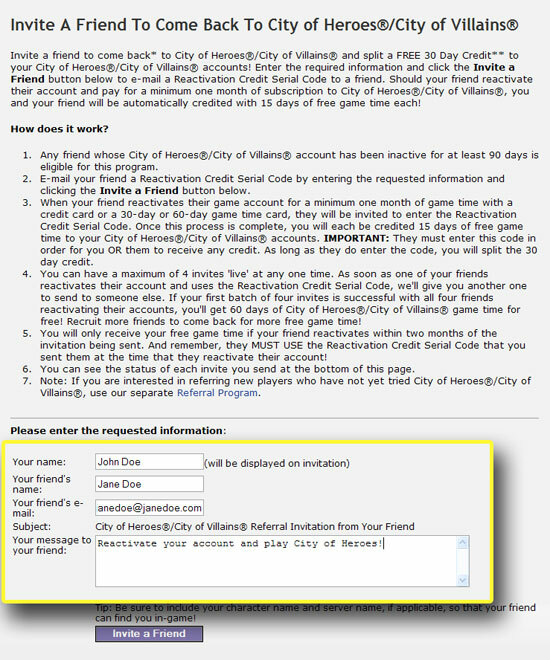 Invite a friend to come back* to City of Heroes®/City of Villains® and split a FREE 30 days of credit** to your City of Heroes®/City of Villains® accounts! Read on for all of the details. 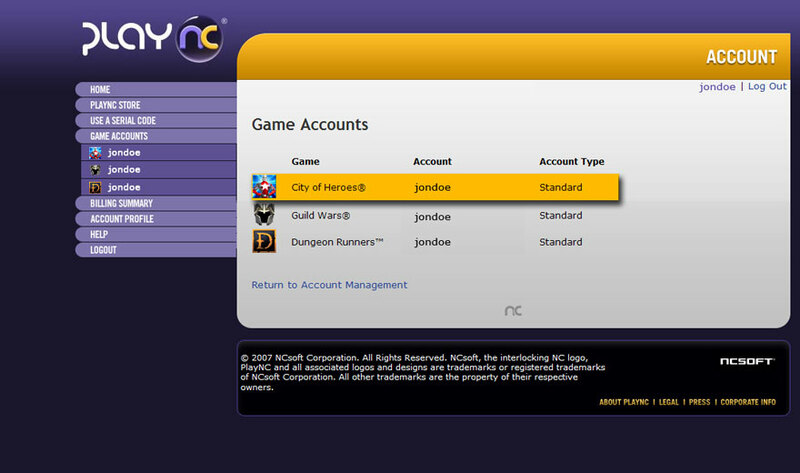 Once logged in, click the Game Accounts link. Click on an active City of Heroes/City of Villains game account. 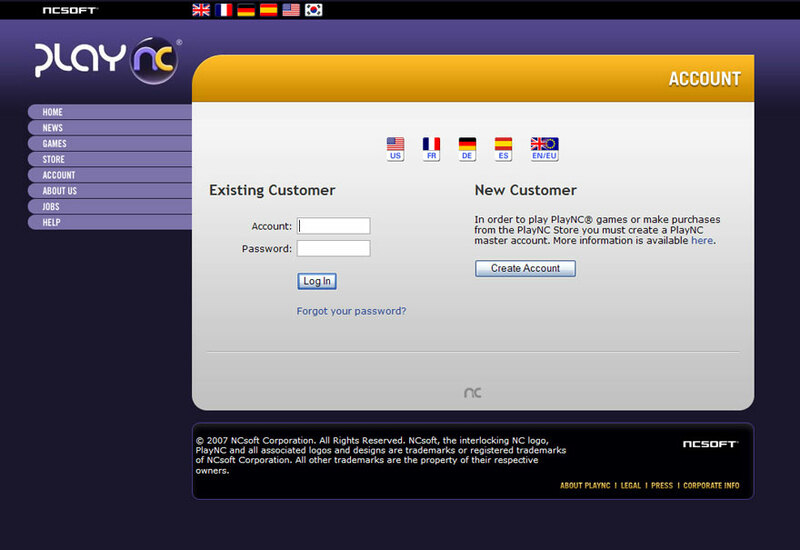 Click the INVITE A FRIEND BACK link. Enter the requested information listed. Click the INVITE A FRIEND button. Return to the Invite a Friend Back page to view the status of your outstanding invitations.